Below are information and links for you to access and download various resources for Cinderella’s Secrets, such as press releases, photos, logo and Q&A with George . As a young boy; war, racism, bullying and low confidence were obstacles that impacted me personally. In my teenage years, I had a lot to be grateful for, but I was very confused about the cruelty and lack of common sense in the world. I had also become someone who needed to have everyone approve of me and this proved draining and costly throughout my young adult life. I wrote this story to show that the magic within us is real. We have the power to change our destiny simply by removing misguided ideas about our identity and replacing them with ideas that restore our worth and capability. My wish is that Cinderella’s Secrets becomes a spark that initiates empowering and healing conversations between us. My next wish would then be that it can also help improve the way we raise our future generations so that they are better equipped to handle setbacks, are able to thrive, and in doing so, are able to help create a better world. Get an exclusive interview with George Helou and receive the answers to whatever burning questions you may have. Download professional photographs of George Helou and illustrations from Cinderella's Secrets - It's free! If you would like to organise a photo opportunity with George, please contact us. 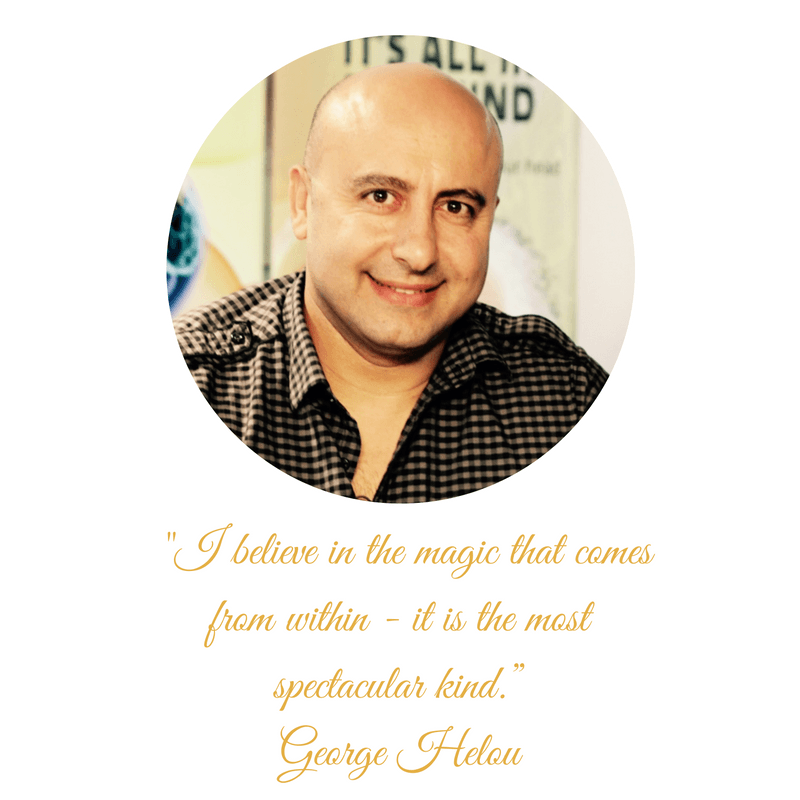 Download our 'Q&A with George' and get all the answers you need right from the magical source - George Helou - who shares his ideas and hidden treasures on writing the untold story of Ella. Get a media kit packed with all the information you need to write up a piece on Cinderella's Secrets, the series Once Upon a View, or even about the author Geroge Helou. Create and share your magical story! We've compiled an inspiring and ready-to-use Blogger Pack with all the information you need to write up your story. Ready. Set. Go and share your magic! You can freely download the logo of the series Once Upon A View to use for your promotions.